Jasper transmissions just make good sense! When it comes to transmissions, we often get asked a plethora of questions. Let’s start with the WHAT question. What are Jasper transmissions? Jasper transmissions are not used or rebuilt, but rather, they are remanufactured. That means they have been remade as close to new as is physically possible. Let’s chase that with the next question. 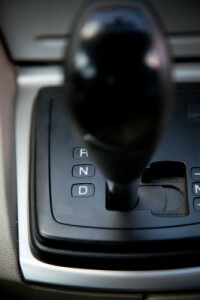 WHY purchase Jasper transmissions? Simple. It’s all about VALUE! It’s not just about price. Typically a remanufactured transmission is less costly than a new transmission. It’s the combination of price and performance which produces value. Having a remanufactured transmission gives you as close to new in performance with much less than a new price tag. And finally, we get asked: can I trust Jasper transmissions? If you need additional reassurance regarding the purchase of a Jasper transmission, we think their 3 Year/100,000 mile, nationwide warranty (which covers parts and labor) ought to set your mind at ease. All of this information may have piqued your curiosity as to whether Jasper transmissions are right for you. If you have any questions, please give us a call. We’ll be glad to help you decide what option best suits your needs.